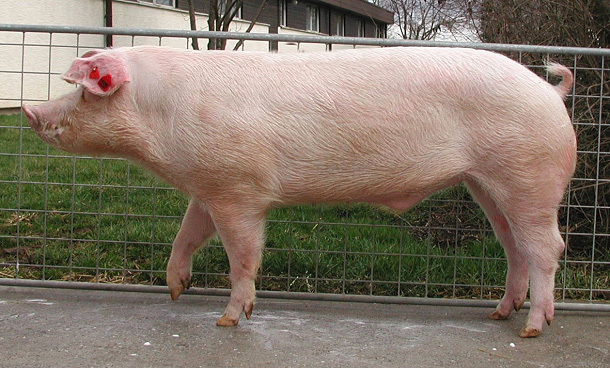 Leicoma pigs are large pigs from East Germany. They have a large frame and hanging ears. They unfortunately are considered endangered.